If you’re using Windows 8 Pro and Enterprise, you don’t really have to rely on a third party encryption software to encrypt your files and hard drives. You can totally rely on BitLocker as this is what came with Windows 8 Pro and Enterprise by default. Anyhow, right after the break you get to see me use BitLocker in real time to encrypt a C: drive on my Windows 8 Pro computer. Enjoy!!! I just upgraded my computer from Windows 7 to Windows 8. The upgrade went smoothly except it had to restart couple times; it also asked me to free up around 20GB of disk space. I installed all my system files and a game on SSD, and so my SSD had almost always been full. I moved my game over to my other drive, and once I did that Windows 8 allowed me to move forward with the upgrade. 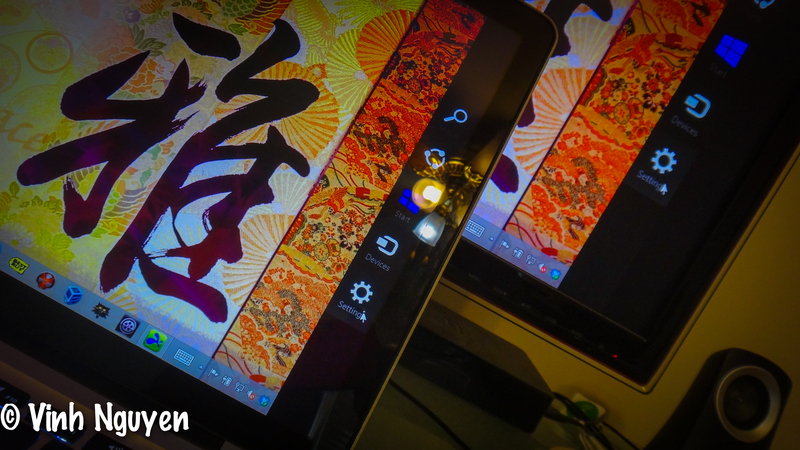 I had always backup all of my data, and so I was ready to go with the upgrade of Windows 8. You should backup your data before you do anything major to your computer system. You never know when your data will get corrupted or something would go so wrong during a major system update/upgrade and so on. Without doing proper backups for your data, you might lose so much data that you find yourself doing a facepalm and wonder what had you done to yourself. Anyhow, in my case, the upgrade from Windows 7 to Windows 8 went super smooth, and I got to keep most of my files, software, and settings. If you upgrade not from Windows 7 to Windows 8, I think Windows 8 will not allow you to keep most of the stuffs you got. During the upgrade to Windows 8 from an older version of Windows, the upgrade process checks to see what you can keep and what you cannot keep. Eventually, Windows 8 upgrade process lets you know about the stuffs that you can keep and the stuffs that you have to do without if you decide to move on with the upgrade to Windows 8. At this point, you have to think seriously, because if you have not had any backup for your data and move forward with the upgrade to Windows 8, you might lose some serious data. Losing them data forever!!! 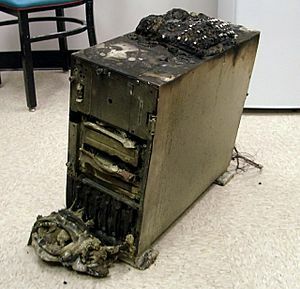 This is why I insist you to do a backup for all of your data before go ahead with the upgrade to Windows 8. Windows 8 is a lot different than Windows 7 as it emphasizes on syncing the Internet features and data with your local system and data. An example of this is how Windows 8 allows you to sign into Windows 8 with Microsoft email address. 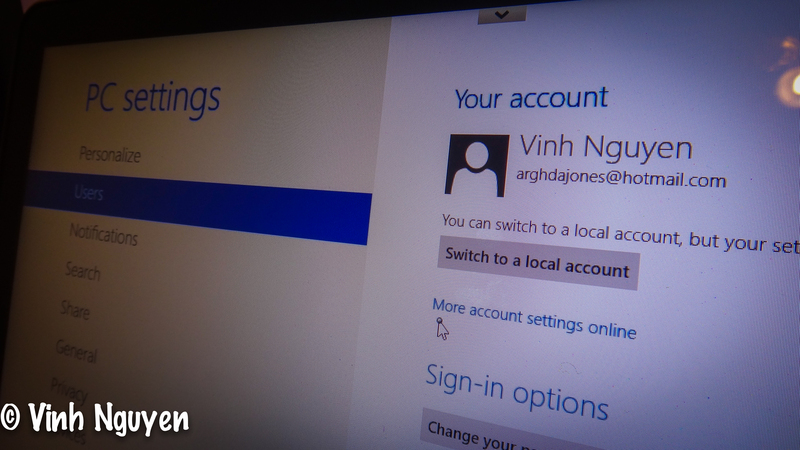 This way, new emails from the email account that you’re using to login into Windows 8 will show up on the Start screen whenever you login into Windows 8. Obviously, you can always change the method of how you want to login into Windows 8. You can do this by getting into Desktop view/mode first > move your mouse pointer to the hot corner at the bottom right > Settings > Change PC Settings (at the very bottom) > Users > Switch to local account or otherwise. I think the first thing you should take care right away right after you had upgraded to Windows 8 is to make sure your Windows 8 security is up to the task. Some of the third party security solutions may not work correctly with Windows 8 yet, because the developers for these third party security solutions might be in the process of making their software to be compatible with Windows 8. I found this out with Norton Internet Security 2013 as this security software would crash on me whenever I try to use it on Windows 8. I found out that only Norton Internet security 2012 is compatible with Windows 8, because it is listed as compatible on Microsoft Compatibility Center website. In my opinion, it’s an ironic that newer Norton Internet Security software fails to work on Windows 8, but the older version is doing alright on Windows 8. Anyhow, in my case I completely uninstalled Norton Internet Security 2013 and replaced it with McAfee 2013. For you, I suggest you try out your Internet Service Provider security solution first to see if it is compatible with Windows 8, and this way you don’t have to actually pay more money for third party security solution. If your Internet Service Provider doesn’t provide you a security solution, then you can always use the free security software that came with Windows 8 by default. The security software that came with Windows 8 by default are Windows 8 firewall and Windows Defender. 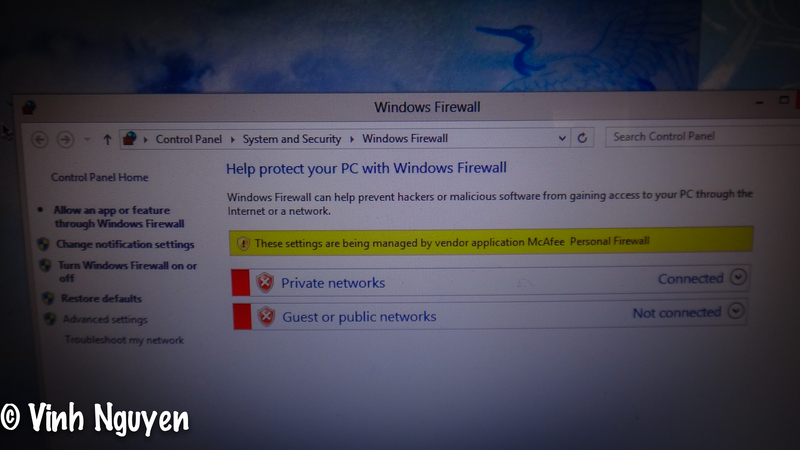 Windows 8 firewall is just as good or even better than some third party firewall solutions. 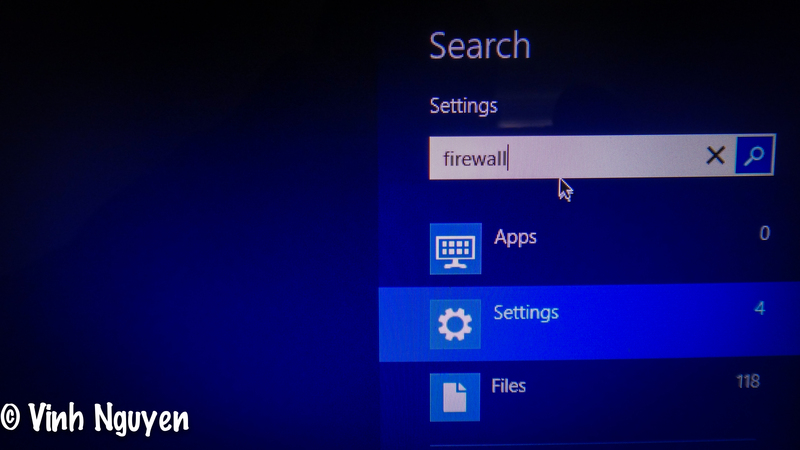 With that being said, I’ve found Windows 8 firewall to be a tad more complicated than third party firewall solutions, but it’s not that difficult if you just switch on block all incoming connections and allow all outgoing connections in the specific firewall profile that you’re using on Windows 8. 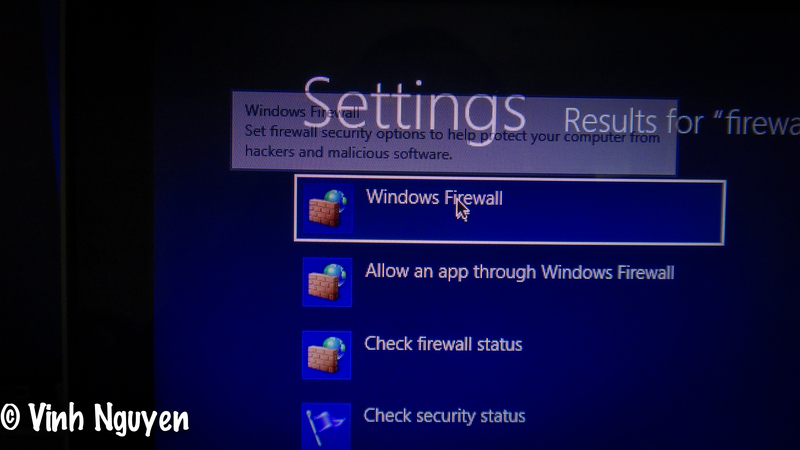 How to turn on Windows 8 firewall? Make sure you are in Desktop view/mode and move your mouse pointer to hot corner at the bottom right corner of the screen > click on Search > highlight Settings > type firewall into the Settings search box at the top > click on the Windows Firewall link which appears on the left hand panel > manage Windows 8 firewall from here. Windows 8 came with Windows Defender, and if I’m not mistaken Windows Defender is a two in one solution. It used to be called something else as I don’t entirely recall what it was called, and it was and still is used for malware detection, but now on Windows 8 the operating system combines this malware detection capability with a new antivirus detection capability. So, in a nutshell, Windows 8 Windows Defender is two solutions in one as it can detect both viruses and malware. I think this is a good deal for the folks who do not want to install a third party security solution such as Norton or McAfee. 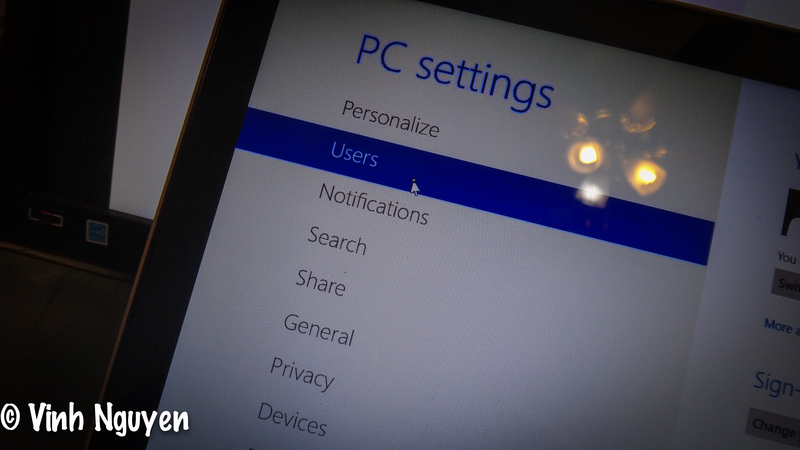 To check to see your Windows 8 has the proper security elements in place, you should go to Desktop view/mode > Settings > Control Panel > System and Security > Action Center > expand the Security portion and make sure firewall is on and other security elements are in place. 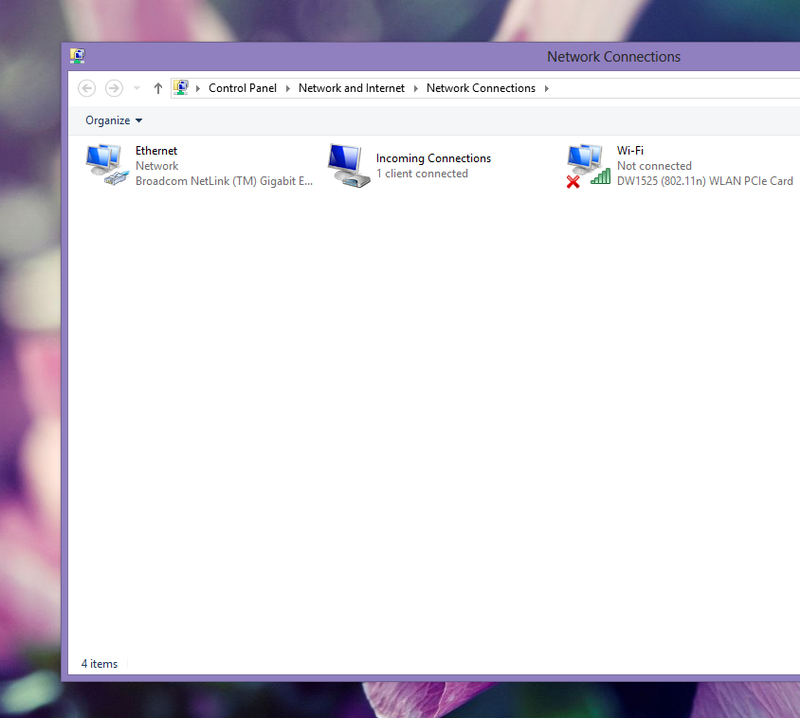 I found out that when I told Windows 8 not to turn on networking sharing feature during the upgrade process, Windows 8 got my Internet connection listed as Public or Guest connection. Perhaps, this doesn’t matter much if you had tightened Windows 8 firewall’s public firewall profile or you use a third party firewall solution. Nonetheless, I didn’t like how Windows 8 listed my computer under Public connection when my computer actually was and is connected to a private Internet connection. Don’t get confused when I say private Internet connection, because what I meant is a home connection or an office connection. So, I had this changed. How? 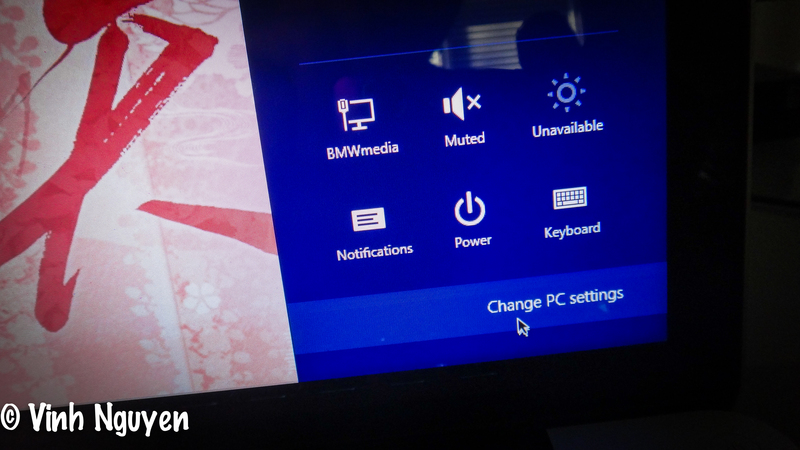 Desktop view/mode > right bottom hot corner > Settings > Change PC Settings > Home Group > and turn on the sharing feature. Once you got all security elements for Windows 8 up and running, now you should make sure all data is intact and the software are working. In my case, I had to move the game which accounted for 14 GB worth of data from the large secondary drive back to SSD. Remember how I had to move this game from SSD to the large secondary drive since Windows 8 upgrade process asked me to free up around 20 GB worth of disk space? Yep, this is the very game I’m talking about. Anyhow, just make sure your software are working correctly. If you have a software that would crash on Windows 8, you can go to Microsoft Windows Compatibility Center to see the software you’re running is actually compatible to Windows 8. If not, you have to either contact the software developers and urge them to release a Windows 8 compatible version of the software or switch to another software which has the same features as the original one. By the way, let me warn you that whenever you install anything on Windows 8, you are doing so at your own risks. After all, Windows 8 has just been released. This is why you should do research first before installing any software onto a computer which runs Windows 8. Good luck to you on this front. 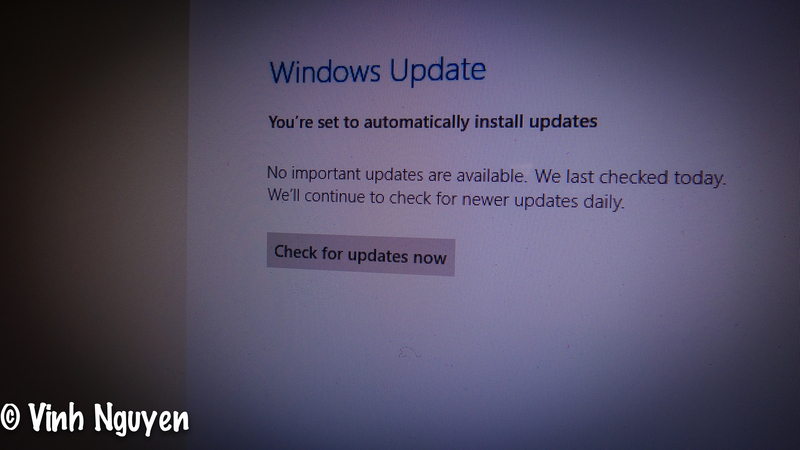 Now, you should try to check to see if there is any update for Windows 8. 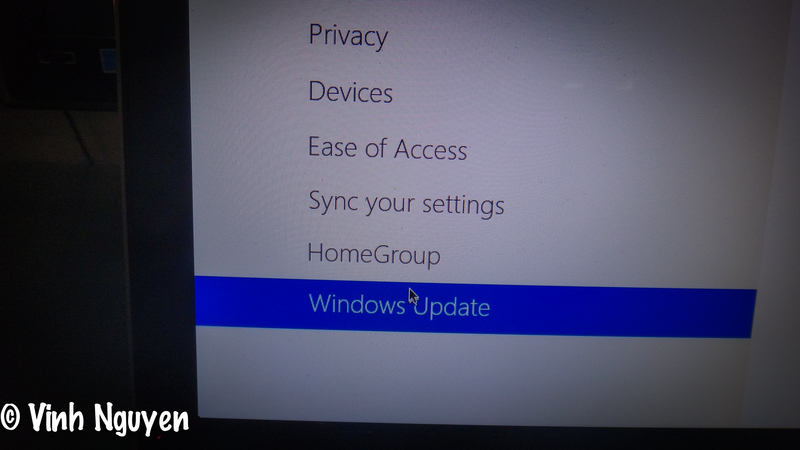 I know, if you had picked an option of which to allow Windows 8 to automatically update your computer during the upgrade process or installation process, Windows 8 will automatically update your computer with newer updates whenever newer updates come out. These updates might be related to newer drivers, newer system files, and so on. I don’t think Windows 8 will know the software that you install not from Windows Store (or not a core part of what makes Windows 8 come to live) has newer update or not. I might be wrong though! Automatic update is fine and all that, but sometimes you just want to do an update on demand. Like right after you upgrade to or install Windows 8, right? No sweat, Windows 8 also allows you to do a manual update. How to do this? 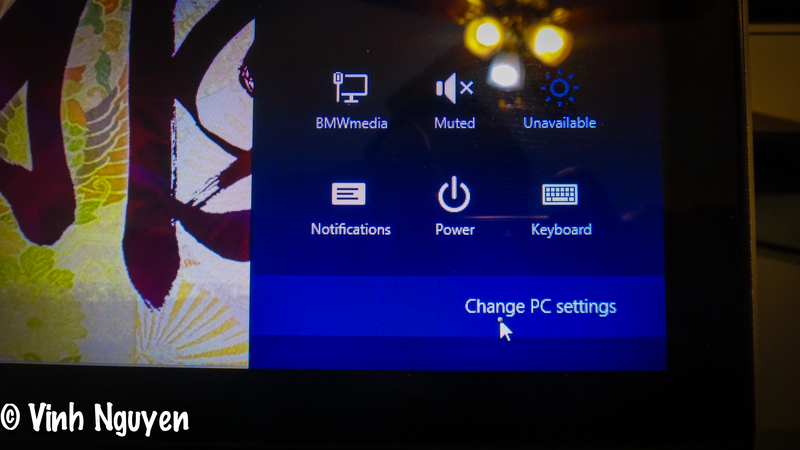 Get into Desktop view/mode > right bottom hot corner > Settings > Change PC settings > Windows Update > click on the button that says Check for updates now. If you there is something to be updated, click on the link which has the option to allow you to do a manual update, and this link usually locates above the Check for updates now button. 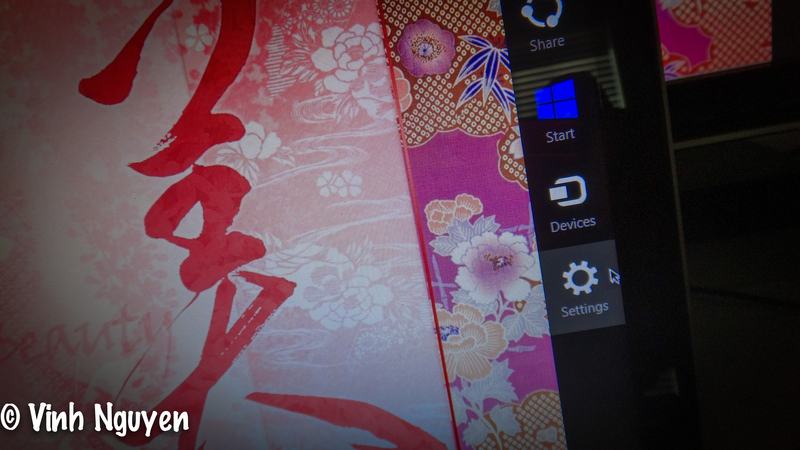 I think this should be it for you guys, and just get familiar with Windows 8 features. 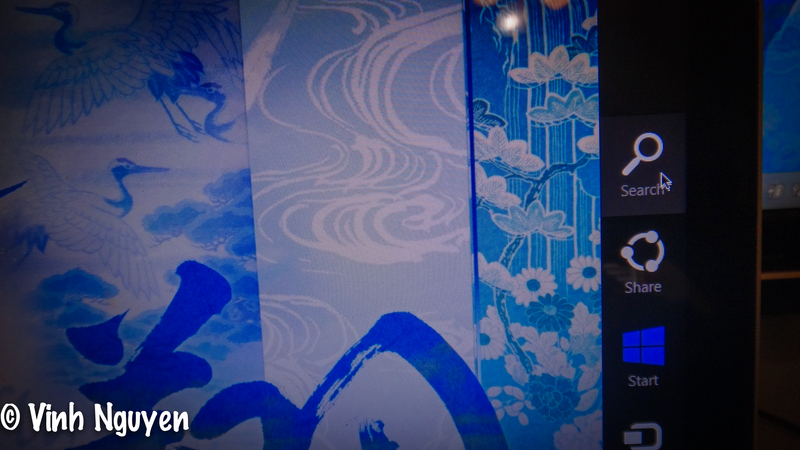 To get familiar with how to use Windows 8 is going to be challenging for people who do not like to learn how to use a brand new operating system, because Windows 8 does feel like it’s a brand new operating system on the surface (i.e., not an iteration of the original operating system). Underneath though, if you know how to use Windows 7, you should get rather comfy with Windows 8 soon once you get over with the challenge of knowing how to navigate Windows 8 on the surface (i.e., I meant of the Windows 8 Start screen and other newer Windows 8 trivial features and not about Microsoft surface tablet which also uses similar graphical user interface to Windows 8). 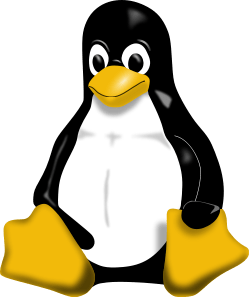 Installing APF firewall from source on Ubuntu 12.04 Server is possible, but you still have to tweak it somehow to allow it to start on boot and to work correctly with Ubuntu 12.04 server. Luckily, Ubuntu 12.04 does come with aptitude package manager, and we can use this package manger to install APF firewall easily. Unfortunately, you still need to do some tweaking before APF firewall can work smoothly. Nonetheless, it’s like choosing which poison you want to down with, because either choice is going to be cumbersome. There is one more disadvantage of using aptitude package manager to install APF firewall is that the package manager aptitude might not carry the latest version of APF firewall. Nonetheless, when updating APF firewall with aptitude package manager, it’s much easier such as doing aptitude update and aptitude safe-upgrade. Anyhow, let us assume that you pick the poison of installing APF firewall with aptitude package manager, then this video might just be the remedy for you. Enjoy!! !